If you’re ready to join Robert on the quest for savings, cut the cord! It’s not as hard as it sounds. In fact, switching from traditional landline to magicJack VoIP phone service is a painless process that’s as simple as clicking a few buttons, hooking up some hardware, and installing some software. If you follow these step-by-step instructions, you’ll be able to start saving on home phone service in a matter of days. Not sure if you’re ready to cut the cord? You don’t have to decide overnight. magicJack gives you 30 days to make your decision. Sign up for your free trial at MagicJack.com by entering your personal, shipping, and payment information. magicJack will ship you a VoIP device at no charge. Hook it up and start calling. If you love it, keep it. You’ll be charged for your device and shipping after your trial. If you don’t like it, send it back; you won’t be charged a penny. Afraid to switch to magicJack because you think you’ll miss calls? Think again. Whether you’re keeping your current number or getting a new one, being proactive about the switch can help you avoid unavailability. Most landline phone numbers can be converted to magicJack service. To make sure yours is available, visit magicJack.com. If your number is available and you choose to keep it, you’ll pay a one-time fee of $10. If you’re getting a new number, give it to your contacts along with the date you plan to cancel your current service. This way, when you make the switch, the people you care about most will already have your number. Now you can finally jump for joy! Canceling your landline service means throwing away 100-page bills that include charges for every long distance call, premium feature, and second of overage. However, be wary of burning bridges too quickly. 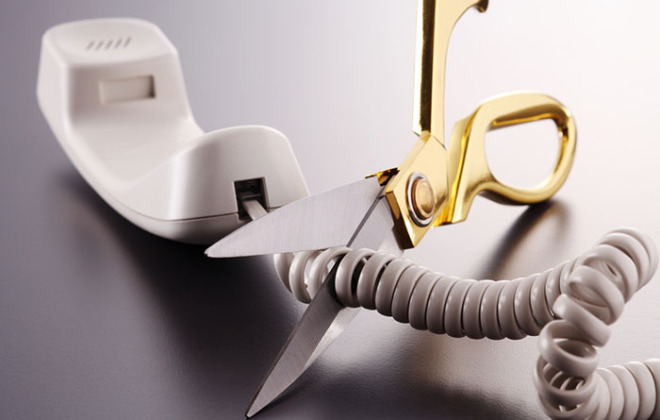 Some landline providers charge early termination fees, so you’ll need to be smart to avoid them. First, review your contract to see if you will be charged a fee and when it will be assessed. If your contract is up in a few days, just wait until it ends before you call to cancel your landline. If your contract isn’t due to expire soon, call customer service and speak with management about why you’re switching. If you explain that you’re unhappy with the service, the company may agree to waive the early termination fee. Second, make sure you’ve paid your final landline bill in full and get written confirmation that your account has been closed. If you do this, you’ll avoid potential mix ups if the company doesn’t process your cancellation request correctly. Robert was a cordcutter, and it turned him into a big-time cost cutter. He joined the likes of Jerry, Bob, and other Amazon reviewers who have been raving about their magicJack savings online for years. If you’re ready to save hundreds or thousands per year on landline phone service, join cordcutters anonymous, and start your free trial today.